I am sitting on the porch of the dining hall in the late afternoon watching a late afternoon rain. To my left is a very wet Givat Ilanot. The shadow of Sheeprock (a local climbing mountain), the slick basketball court, and the cool breeze seem like the perfect way to wrap up, the final day of Session I. This morning our entire camp was buzzing at 6:15 am with last minute packing after most chalutzim (campers) had slept out under the stars with their edot (age group) in various places throughout camp. Now, our staff is off: hiking, relaxing, and savoring the many amazing moments from Session I. Most of our chalutzim have already arrived home or are en route and the airport staff are getting the final campers on their flights. All is quiet on the ranch. Back in 2008, when a group of us drew up the plans to create a rusticoutdoor adventure camp we set a goal to grow our c ommunity to 200 campers and 110+ staff at any one time. From a communal standpoint we thought this was the perfect number to allow for a critical mass in all our age groups. From a business standpoint, the conventional wisdom is that a camp needs to have this capacity to be economically sustainable. Thanks to the generosity of our amazing donors, at the close of last summer, we were able to finish our wastewater system ($440,000), build a second bathhouse ($420,000), and complete our three final tents ($75,000) which allowed us to reach our targeted capacity. And with this growth, we expanded beyond our single dining tent and, for the first time ever, we split our community between our newer dining tent and our older chadar ochel (dining hall). While we began meals together with our food tours andcommunal brachot (blessings) eating in two chadrei ochel allowed the younger campers and older campers to eat and sing at their own paces and also to tailor cheers and announcements to each group. Up in the kfar/kibbutz areas (where the tents are located), we have had a few summers of overcrowding in our single bathhouse. But with our new second bathhouse this summer, we finally had appropriate sanitation for all our chalutzim. Also this summer, our Kehillah Kedosha (holy community) began to feel more like a small village a-buzz with various activities rather than just a large family with multiple services happening each morning. Every programming space was occupied during Peulot Shabbat, and enough gaga, basketball, and ultimate frisbee happened during free time to keep everyone busy. This session, we had our largest group of Bogrim (9/10th) grade campers. Because so many of our Bogrim chalutzim were returning for their 4th or 5th years, we knew that we had to improve our older camper program and make it more challenging. And so, this year we unveiled two new advanced programs: biking and mountaineering. Working with a local trail building company and the Oreg Foundation, we built a mile long advanced bike trail complete with table-top jumps, banked turns, and a small technical climb. Our goal was was to create a place on our ranch where chalutzim can practice some technical biking skills before heading out to the world class terrain at Buffalo Peak. Indeed, last week the Bogrim bikers actually left camp on Monday, biked to Buffalo Creek (up a huge vertical climb) where they spent time riding the single tracks before biking back along the backroads to camp on Friday. Given its terrific reputation, the advanced biking trail was in use throughout the past two weeks by those going on the biking masa as well as those who just wanted to do some more difficult terrain. In addition to advanced biking, this session we ran our first ever mountaineering group. In this activity, chalutzim spent four mornings climbing at local crags improving their technical skills. 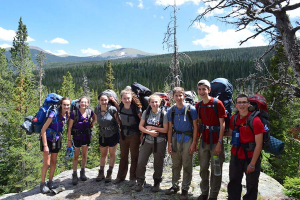 Then, last week, on their masa they headed to Rocky Mountain National Park and the Sangre de Cristos mountains where they had a chance to tackle some pretty technical and difficult peaks. All who completed the masa said it was one of the best they had ever experienced here at Ramah in the Rockies and certainly one of the hardest. 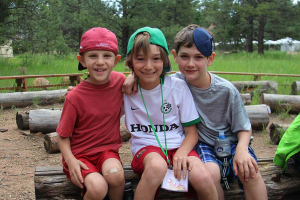 While we were working to improve our older camper experiences, we also spent considerable time in the offseason revamping and hiring appropriately trained counselors for our youngest campers, those in Ilanot (rising 3/4th graders). We hired staff who specifically wanted to work with this age group. We brought back the Ilanot Masawhere they slept out under the stars and spent a day hiking on Prospector Mountain. And we had a myriad of age-appropriate camp activities for them like our Rocktion (Rock-Auction), carnival, and some horse trail rides. This session, our Ilanot program was sold out, and indeed on Wednesday, for the first time, we have two male tents for this age group. 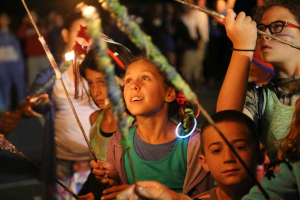 A personal highlight for me is watching the Ilanot campers become more comfortable with the birkat hamazon (grace after meals), camp wide Israeli dancing, and Friday night services. The first few times we do these each session, many of our Ilanot chalutzim have a look of puzzlement on their faces. By the end of the session, most were participating fully at whatever level they could. 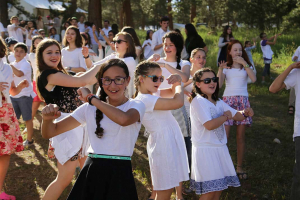 Whereas at the beginning of the session, our Ilanot chalutzim are literally just trying to figure out their way around our ranch, by the end, they are full members of our community, leading cheers, prayers, and giggling at their own inside jokes. This session, our Ilanot program was terrific, and we certainly hope that this is just the beginning of a long camp career for most of the participants. Soon after sending this email, I will be going off line for 16 hours, hopefully to sleep, hang out with my family, and mentally prepare for the next session. Camp is a rollercoaster, and while we certainly had some down moments this session (like the suspected Norovirus outbreak), so much of the past few weeks were spent in states of total jubilation. 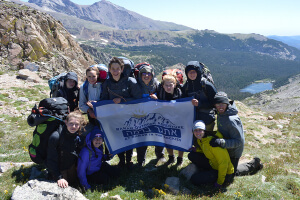 We had untold moments of higher highs where we were truly living out our mission statement which demands that we be a place that nurtures the character development of Jewish youth by providing them a space to challenge themselves physically, emotionally, and spiritually. While we are delighted to have had such a terrific first session we know that half of the 480 chalutzim who will pass through our gates this summer have not yet arrived. We are basking in the success that was our first session and gearing up for an equally, if not more, impactful second session. We sent out a feedback survey to all of our camper families via email. If you would like to share feedback, please email us at eliavb@ramahoutdoors.org!